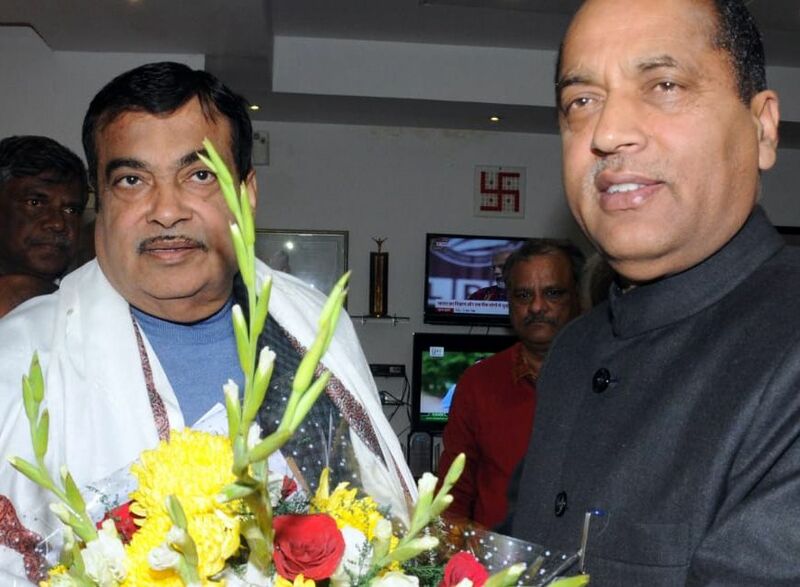 New Delhi: Chief Minister Jai Ram Thakur today met Union Minister for Road Transport Nitin Gadkari and urged for declaration of 53 State roads approved in principle for Himachal Pradesh as new national highways for which alignments have been already submitted to the Ministry. The Chief Minister requested for sanctioning estimates of five remaining national highways approved in principle besides notifying Sarkaghat-Ghumarwin and Ranital–Kotla state roads as new national highways. 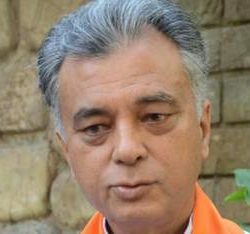 Thakur urged for entrustment of Theog-Hatkoti to state PWD for development and maintenance besides sanctioning estimates for Theog bypass. He also sought approval of Ministry for inclusion of Hamirpur-Mandi (NH 70) and Paonta Sahib–Gumma–Fedaj Bridge (NH 72) under NHIIP Phase 2 and added that roads are lifelines for the hill state and best mode of connectivity within the state. Hence speedy action on these projects will pave way for better connectivity. He apprise the Union Minister about slow progress of four laning of Kalka-Solan NH project which is highly causing traffic congestion and inconvenience to the tourists visiting the state capital. He informed that there is no progress on Mataur-Shimla (NH 88) and Pathankot–Mandi (NH 20). He requested for improving the condition of Nadaun-Hamirpur and Brahmpukhar–Shimla (NH 88), Pathankot–Mandi (NH 20) as there is no proper maintenance of these roads. 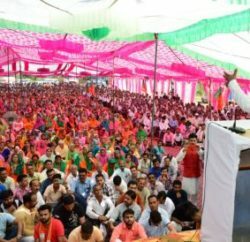 The Chief Minister also apprised the Union Minister that the work has been stopped on Kiratpur Saheb–Ner Chowk (NH 21) and added that there is delay in awarding Pinjore-Baddi-Nalagarh four-laning project. However, he urged for starting the construction work soon as it is the lifeline for industrial area which is a big pharma hub and 37 percent production of the country is taking place. There is a huge traffic on the road which necessitates undertaking the construction work at a fast pace, he added. 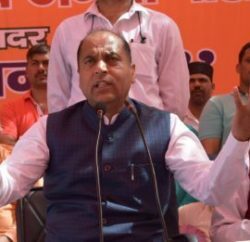 Jai Ram Thakur also urged the Centre for reimbursement of funds against already submitted utilization certificates by the state government. The Chief Minister was apprised that work on Pathankot-Mandi will be started at the earliest and Rs. 27 crore have already been provided. It was also apprised that efforts would be made to start maintenance work on Kiratpur Saheb-Nerchowk soon and added that projects under central road fund sent by the government will be sanctioned soon. Principal Private Secretary to Chief Minister Vinay Singh, Deputy Resident Commissioner Vivek Mahajan and officers of state PWD and the Ministry were present in the meeting.